It may feel like you just planted your garden yesterday, but it's already time to pick some of those early sprouting veggies to seal for later. Some vegetables naturally grow quicker than others, and you'll want to harvest now to get them at their ripest. Once you've gathered up all those fresh things from the garden, pack up what you want to save for later with your FoodSaver® Vacuum Sealer. You'll reap a lot from your garden over these next few weeks - more than you'll be able to cook with immediately. Vacuum seal and freeze leftovers to keep them as fresh as the day they were picked. Here's what you should be harvesting. You can plant radishes just about any time during April and early May, and they'll be ripe for the picking around mid May to late June. If you really like radishes, remember that they can be planted again in the late summer around mid August and into September. They're a perfect addition to coleslaw, potato salad or a rainy day soup. You can start plucking those green leaves off your lettuce, but don't pick the whole head. Those will be ready around the middle of July. And remember, lettuce leaves aren't just for salads! You can use them as wraps instead of tortillas or chop them up to make stuffed tomatoes. Not to mention you'll need them for topping those burgers at the cookout. Start picking those pea pods now, as it will be too late by the end of June. Boil those peas, pod and all, for a nice spring salad, or try sauteeing them with a little soy and ginger for a quick dinner side dish. It's high time to pick your garden veggies, like beets, so get to it! The same goes for spinach, which shares planting and harvesting times with pea plants. If you're not crazy about spinach salad, try sauteeing it with a little butter for a quick dinner side dish or make creamed spinach topped with fried onions for the barbecue potluck. Broccoli won't be ripe for another few weeks, but cauliflower should be perfect for picking if you planted in early April. Start adding these veggies to your salads or try oven roasting them with a little garlic, olive oil and lemon. These purplish plants can be planted throughout the middle of the summer, but if you got an early start and planted at the beginning of April, it might be time to harvest within the next week or so. If you really want to use up those beets quick, roast them for salads with a little goat cheese and kale. Kill two birds with one stone by substituting the kale with chard or spinach. They're also a great combination with roasted sweet potatoes for a little side dish. 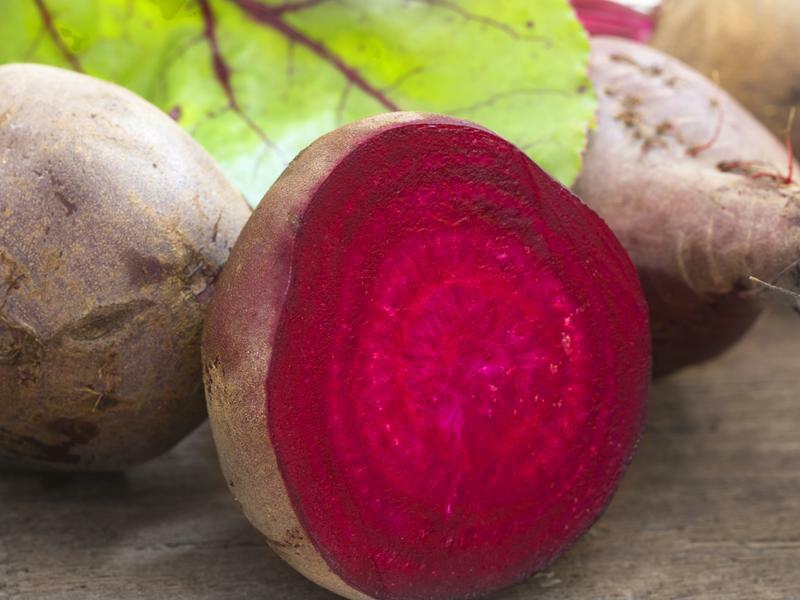 Beets aren't the only root vegetable on your list. Go pluck those turnips, too. They can be planted again in the beginning of August if you'd like. Pureed turnips with a little butter are a spectacular alternative to mashed potatoes. That will take care of most of your harvesting to-dos for the time being, but don't forget that the picking times for your other veggies could be right around the corner. If you're an early carrot planter, harvesting will be just a week or two away. The same goes for snap peas, collards and kale.